Vibrating Foam Rollers - Speed Up Your Recovery! An often under-discussed issue that many CrossFit athletes can have is skin problems, specifically, issues with the skin on their hands, which can encounter a lot of wear and tear with exercise. This is also a problem that any athlete who is regularly lifting weights experiences. But, it can be particularly prevalent in CrossFit. Olympic lifts, rope climbing, and slamming medicine ball can all cause a tremendous amount of friction. This can then eventually lead to hand tears, which then lead to problems like scar tissue and calluses developing on the palms. These are not only a problem for appearance, but can also cause discomfort during daily activities and become a source of annoyance. it's important to know how you can prevent them. This may not only be a minor annoyance either. Excessively large calluses can mess with your grip and affect your performance in competition. This can be particularly problematic for Olympic lifting, where your grip can be a major element in how much you can lift. For these athletes, it is comforting to know that callouses can be managed or removed to prevent problems with performance or discomfort. You can also prevent the accumulation of new calluses. Below, we describe ten ways in which you can prevent, manage, or remove callouses. These should help provide you with a guide for what to do next time you head to an event or the gym. As mentioned, one of the best methods of preventing calluses is to prevent high levels of friction or tears when training, and one of the most effective means of doing this is also one of the most popular. Lifting gloves are both low-cost and very comfortable. They can be used in training and during some competitions to help manage friction. 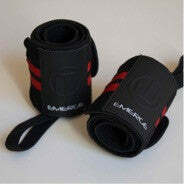 They are especially useful in activities like deadlift, cleans, snatches, pull ups, and rope climbing. These gloves can also be used to help manage existing calluses, making them ideal for both novice and advanced CrossFitters concerned about getting calluses. If lifting gloves are not your style, or if you only need to use lifting aids to reduce friction during certain exercises, lifting straps or grips are a great alternative to gloves. 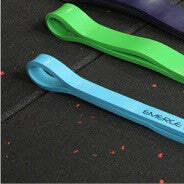 These are straps that can be attached to your wrists and wrapped around a barbell. 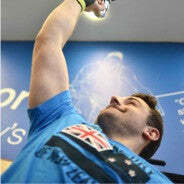 They help cushion the hand from the friction of a barbell and can even improve performance in some lifts. 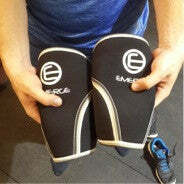 This is because they help add torque and grip to the barbell while making the gripped area softer from the hands. Their one drawback is that they can only really be used for lifting. Those who are planning to use them to reduce friction in climbing or throwing activities will find it extremely awkward. However, they can be used for pull ups relatively easily. 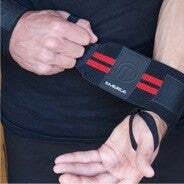 So, for those who find that the barbell is the source of wear and tear on their hands, lifting straps and grips are a great alternative option. This might seem like a surprising addition to the list. But, dry skin on the hands can crack and break much easier than softer or more supple skin. This means that dryer hands tear easier and develop calluses much quicker. Dryer skin can also mean greater amounts of discomfort while training. Moisturizing the hands can make a big difference to both training and hand care. Like lifting gloves, moisturizer can also be effective in managing calluses. It can be applied during skin tears and directly onto calluses to reduce their severity and size. Along with chalk and tape, moisturizer deserves a place in the gym bag of all CrossFitters concerned with skin health. If lifting gloves or straps are a bit too invasive or impact your technique too much, chalk is another good option. 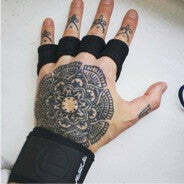 While not as effective as it's wearable counterparts, chalk can improve grip and add a layer of material on your hands. This can help ensure you don't grip excessively on a bar or rope and reduce the friction on your hands. Along, with reducing the occurrence of tears and calluses, this can also boost performance in Olympic lifts. So, for a cheaper and easier option to prevent damage to your hands, regular chalk use can be an effective strategy. For those who have already developed calluses from training, prevention is of limited value. Managing calluses is necessary to prevent discomfort or a drop in performance, and one of the ways you can manage calluses is through lifting tape. This is a tape that can improve grip on the bar and protect your skin. As such, it can also offer some protective effect on developing new calluses. But, applying tape directly in newly formed calluses can help keep them from getting thicker or bigger. This can make your existing calluses more manageable, while also stopping the accumulation of new calluses to keep the problem contained. Skin files and other skin care products seem like they're just for beauty treatments, but they have a great place in managing skin issues like calluses for athletes. Shaving down calluses and removing pieces of dead skin will help prevent calluses from becoming too thick. Through treating the skin, they will also help prevent the addition of new skin breaks and calluses. So, spending some time after your training week is over treating your hands and managing the size of your calluses can help keep them in check. Aside from cuts and skin tears, blisters are one of the biggest precursors to calluses. Managing them correctly can be the difference between developing another callus or helping your hands heal faster. Avoiding blisters by preventing your skin from rubbing repeatedly against hard surfaces is the best solution. If you do develop a blister, leave it alone for the first few hours. Then, consider opening the blister while submerging the affected skin in some water. This should prevent the blister from converting into a callus and allow the opened blister to heal quicker. This may not be the most popular or surprising advice, but the best thing you can do to help remove calluses is to take a break from heavy pulling exercises. This would include Olympic lifts, deadlifts, pull ups, and climbing exercises. After you've stopped these movements, calluses should start to disappear within 7-14 daysassuming the above management methods are being included into your regime. The problem with this solution is that it is often not practical for competitive CrossFitters who need to keep their training consistent. For those who can't cut out pulling or lifting exercises from their routines, lifting hooks can offer some respite. These are devices which attach to your wrist through a band and have hooks attached. These hooks are then connected to the bar to eliminate the need to grip it with your hands. 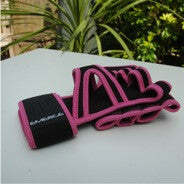 These lifting hooks can also be used for exercises like pull ups and lighter cleans. However, they don't offer any benefit for rope climbing or snatches. Callous removers are a type razor, either electric or manual, that is used to shave the callous down. They are similar to conventional skin files mentioned above. However, these are a bit sharper and more powerful. It is worth mentioning that callous removers will not completely get rid of calluses on their own. They will need to be combined with one of the above methods to completely eradicate the excess skin tissue. 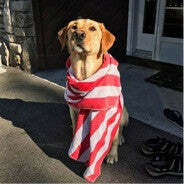 They also act as an essential skin care tool. So, a callous remover should also be included for managing callous size too. 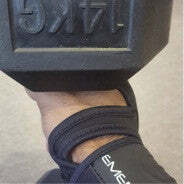 Heavy weight lifting and pulling exercises can cause a lot of wear and tear on the hands. This not only causes discomfort and pain but can also impact performance in training and competition. This is because calluses can develop and become large enough to interfere with grip. This can have a significant impact on Olympic lifts and climbing in CrossFit. Employing the right prevention and management techniques can help prevent excessive buildup of calluses. It can also keep their size in check. Preventing related skin issues like tears, dry skin, and blisters are also important in fighting calluses. But, if the above proves insufficient, then removal techniques should be considered. As with any addition to a training program, the best solution for you to use will depend on your goals, training regimen, and experience level. I'm obsessed with all things Crossfit! Let me know what you think of the article below. Interested in our news and training articles? Subscribe to our newsletter for weekly digest. No spam guaranteed. 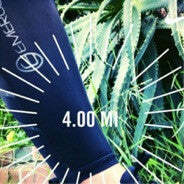 Knee Sleeve FAQ- The Knees Have It! Love these knee sleeves. Has helped my knee tremendously. Nice tight fit, knees area stabilized. I had no pain while using the sleeve or after my workout was done. Everything about these products are quality, from the straps to the clips. I wouldn’t think twice about buying this product again should I ever need another one. I have already recommended them to friends. Excellent product. 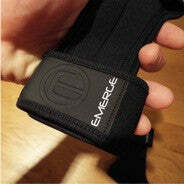 I used it during workouts due to a painful knee from an old accident. Fit well. Fast delivery. Seem to be made very well. Great product. Great price! Join the EMERGE CLUB for new content, discount codes, and more! Take a Selfie With Your EMERGE Products and Tag #MyGAINS on Instagram for Your Chance to Win!